I think that most of us have been told that it is really important to stretch before we hit the gym, and do it again after we have finished. It is said to improve performance as well as reducing the risk of injury and post-exercise stiffness. It is one of those things that has just entered mass consciousness. However a new study using the Cochrane database shows that stretching before or after exercise has little or no effect on muscle soreness between half a day and three days later. Two researchers identified 10 relevant trials, each of which involved between 10 and 30 people. Nine of the studies had been carried out in laboratory situations and people stretched for everything from 40 seconds to 10 minutes. The investigators used a 100-point scale to assess stiffness after exercise. The results showed that the effects of stretching were extremely small. Stretching reduced soreness by less than 1 point on the 100-point scale. The size of the effect was similar if stretching was performed before or after activity. The authors point out that there is still a need to see whether stretching can have an effect on people in the community who have reduced levels of flexibility. 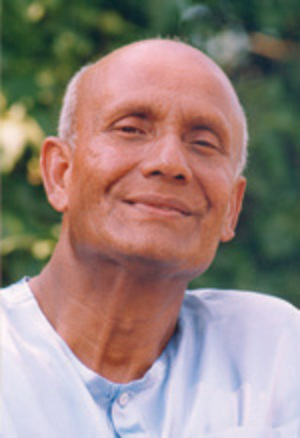 I just heard that Sri Chinmoy has died, or as many would say, entered Maha Samadhi. I was never one of his followers, but I was impressed by some of the things that he achieved in his efforts to ground spirituality in the “external” world. He was born Chinmoy Kumar Ghose in a small village named Shakpura in what is now Bangladesh. At the age of 12, after the death of his parents, entered the Sri Aurobindo Ashram, a spiritual community near Pondicherry in South India. He spent the next 20 years there engaged in spiritual practices, including meditation, writing poetry, essays and spiritual songs. He moved to New York City in 1964 to work as a clerk at the Indian Consulate, and to teach Western spiritual seekers. He used some unorthodox methods: he spread his philosophy through his own way of life, exercising and creating art and music. He drew attention by breaking weight lifting records and stunts like power-lifting pickup trucks and public figures like Muhammad Ali and Sting. He claimed to sleep for only 90 minutes a day and when he was not traveling to perform in concerts and spread his message, spent the rest of the time meditating, playing music, exercising and making art. Sri Chinmoy drew upon Hindu principles to advocate a spiritual path to God through love and devotion, prayer and meditation. But he was one of the first to publicize the idea that meditation does not necessarily mean sitting quietly. Instead he recommended that his disciples develop their spirituality by transcending seemingly impossible physical challenges. At one time or other he was the guru of many people including Carl Lewis, Carlos Santana, John McLaughlin, Roberta Flack and Clarence Clemons. As with so many teachers, there were plenty of allegations of impropriety, but I have never seen any credible evidence to support them. Here are some of my favorite poems and quotations that he wrote over the years. I do hope that you find some of them as helpful, enlightening and inspirational as I have. “Love is the only wealth that man absolutely needs. That you have to achieve. You have only to believe it. His Vision’s Dearest treasure, peace. Why don’t you immediately do it yourself ? “O kindle the fire of happiness! And the palace of goodness. “Be in love with your heart-life. He is healed of his self-doubt. Now what is happening ? “I am not even six feet tall. Yet I am praying to the Absolute Supreme to reach His infinite Height, which is far beyond even my imagination's flight. For me to long to grow into that Height — is this not a miracle?" Delegate not; just start and continue. “When I was an animal I evolved through selfishness. “Forgive, you will have happiness. Forget, you will have satisfaction. “Silence tells the seeker in us to love, to love himself. It tells us it is wrong to hate ourselves because of our imperfections. When the seeker loves himself, loves the Divine within himself, he eventually realizes the Ultimate Truth." “Inner silence is not just the absence of thoughts. No! Silence is the blossoming of our indomitable inner will. Silence is our inner wisdom-light. " “Meditation is man's self-awakening and God's Self-Offering. Who else is ready to run with you. “Human love wants to possess and be possessed by the world. Divine love wants to establish its inseparable oneness with the world and then it wants to divinely enjoy this oneness. Supreme Love transforms human love into divine love and blesses divine love with boundless joy and divine pride." Who ends rules and regulations. You enter into timeless Time. To be rued by dark doubts. Many things will enlighten humanity. Today is Freethinker’s Day, ostensibly because January 29th is the birthday of Thomas Paine. Born in Thetford in Norfolk in 1737, he emigrated from England to Philadelphia in 1774 after he met Benjamin Franklin in London, who advised him to seek his fortune in the Americas, and gave him letters of introduction. It was two years later that he published Common Sense, a popular pamphlet that argued for complete American independence from Britain and was an important influence on the American Revolution. This, probably more than any other single publication, paved the way for the Declaration of Independence. Later that same year in his pamphlet The American Crisis he wrote his famous line, "These are the times that try men's souls." 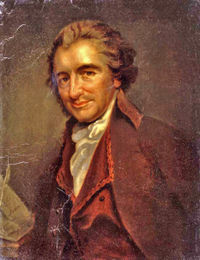 After the revolution was won, Paine returned to England in 1787, and in 1791 he published The Rights of Man, which opposed the idea of monarchy and defended the French Revolution. The book immediately created a sensation, with at least eight editions being published in 1791, and the work was quickly reprinted in the United States where it was widely distributed by the Jeffersonian societies. The Rights of Man began as a defense of the French Revolution but it evolved into an analysis of the basic reasons for discontent in European society and suggested that republicanism was a remedy for the evils of arbitrary government, poverty, illiteracy, unemployment and war. He was always a free thinker, and I’ve recently re-read the Rights of Man and been impressed by his writing, even if I don’t agree with all of his conclusions. 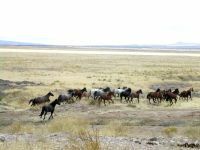 Free thinking is what lead to the creation of Integrated Medicine and the discovery that some of the Laws of Life have been evolving and changing over the last few centuries. These discoveries were all the fruits of thinking - and living - "outside the box." “He that would make his own liberty secure must guard even his enemy from oppression; for if he violates this duty he establishes a precedent that will reach to himself." In the United States, today is Martin Luther King day, and we are hearing numerous glowing tributes as well as commentary about what still needs to be done. I was only a child when Dr. King was assassinated and living thousands of miles away in a part of the country and a school that was largely color blind, I knew little of the terrible discrimination which was still a fact of life in the United States. And in some places still is. But what I remember was the extraordinary oratory that still sends chills down my spine. His insights and his statements are timeless, and like Mahatma Gandhi before him, he was more than a social reformer, he was a World Teacher. When we are hearing Truth, it can usually be applied in more than one setting: many of Dr. King’s principles about harmony, brotherhood and equality can also be applied in to the health and harmony of the body and our interpersonal relationships. 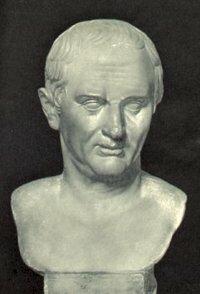 This is a good day to ponder on what he said, and here are a few quotations from my collection. I hope that you will find some of them as inspirational as I have. “A man who won't die for something is not fit to live." “All labor that uplifts humanity has dignity and importance and should be undertaken with painstaking excellence." “An individual who breaks a law that conscience tells him is unjust, and who willingly accepts the penalty of imprisonment in order to arouse the conscience of the community over its injustice, is in reality expressing the highest respect for the law." “Every man must decide whether he will walk in the light of creative altruism or in the darkness of destructive selfishness." “History will have to record that the greatest tragedy of this period of social transition was not the strident clamor of the bad people, but the appalling silence of the good people." “I have a dream that one day every valley shall be exalted, every hill and mountain shall be made low, the rough places will be made straight and the glory of the Lord shall be revealed and all flesh shall see it together." “I just want to do God's will. And he's allowed me to go to the mountain. And I've looked over, and I've seen the promised land! I may not get there with you, but I want you to know tonight that we as a people will get to the promised land." "I want to be the white man's brother, not his brother-in-law." “If you succumb to the temptation of using violence in the struggle, unborn generations will be the recipients of a long and desolute night of bitterness, and your chief legacy to the future will be an endless reign of meaningless chaos." "If you will protest courageously, and yet with dignity and Christian love, when the history books are written in future generations, the historians will have to pause and say, "There lived a great people - a black people - who injected new meaning and dignity into the veins of civilization." “Never forget that everything Hitler did in Germany was legal." “Put yourself in a state of mind where you say to yourself, "Here is an opportunity for me to celebrate like never before, my own power, my own ability to get myself to do whatever is necessary." "Seeing is not always believing." “The limitation of riots, moral questions aside, is that they cannot win and their participants know it. Hence, rioting is not revolutionary but reactionary because it invites defeat. It involves an emotional catharsis, but it must be followed by a sense of futility." "Through our scientific genius, we have made this world a neighborhood; now through our moral and spiritual development, we must make of it a brotherhood." “We must learn to live together as brothers or perish together as fools. “We must use time creatively and forever realize that the time is ripe to do what's right." "We will remember not the words of our enemies, but the silence of our friends. " On this day in 1869, in the town of Porbandar, Gujurat State, India, a child named Mohandas Karamchand Gandhi was born. His life has been written about in hundreds of books and articles, and nobody can deny that he, and his non-violent resistance, changed the world in the most extraordinary way. Yet we all still have much more to learn about what he tried to teach. Starting life as an English-trained lawyer, he read widely, drawing inspiration from such sources as the Bhagavad-Gita, John Ruskin, Leo Tolstoy, Ralph Waldo Emerson, and Henry David Thoreau, and his personal philosophy underwent significant changes. It was not until later in life that he became known as "Mahatma," or Great Soul. Not only did he leave a profound political and philosophical legacy, but he left us an extraordinary number of sayings and quotations. Here are a few of of my favorites. “Adaptability is not imitation. It means power of resistance and assimilation." Keep your habits positive, because your habits become your value system. “Prayer is a confession of one's own unworthiness and weakness. “Prayer is the key of the morning and the bolt of the evening. Regular readers will know that I often find that quotations can inspire and educate us and can amplify points. My own quotations database, lovingly crated over many years, contains almost 30,000 entries. Here are some that I think are wonderful, but for which I can find no reliable attribution. The first was said to have been written by a victim of the Holocaust, but I've not been able to confirm that. If anyone can help with authorship please do let me know, and I'll edit this entry, giving credit where it's due! I hope that you find these as inspirational as I have. I believe in the sun, even when it isn't shining. I believe in love, even when I cannot feel it. In a universe where justice prevails. They cannot see in themselves. Each violation creates a debt that must be paid. And seeking of forgiveness and mercy. The universe is just and accountable. To the ledger of mercy and justice. Between the heart and the head. You may perhaps have seen the news this weekend of the death of John Galbraith, at the age of 97. I never met him, but this Canadian-born economist, Harvard professor, public servant and writer has left a rich legacy, which we should celebrate. Many will disagree with some of his political positions and evaluations, but few could deny that he did his best to stimulate civilized debate about important matters. He was also a master of the insightful and sometimes humorous quotable quotes. We have an almost totally clean database of over 26,000 quotations (i.e. no duplicates and virtually all sources checked), and here are some of my favorite Galbraith quotations that I hope that you might find interesting, stimulating, and in a few cases amusing. A small memorial to a fine mind and generous soul.